We are in the early stages of using mySentry, Medtronic’s remote CGM screen. Right up front I need to say that the good folks at Medtronic have made the device available to me to try for a a few months at no charge. They did not ask me to write about it or make any request other than I give it back when I’m done and if I write that I disclose they are lending us the device and supplies. Delaney is the guinea pig. Initial I thoughts that mySentry is a great device for folks with younger kids, not teens. Little kids are more sensitive to insulin. Their crazy growth and activity patterns make overnights hard to manage. A remote CGM scree that alerts, loudly (and this thing is loud) I thought would be brilliant to help parents sleep better when the numbers are okay and be altered when they are not. I didn’t think it was as advantageous for older kids. We are not using it for overnight alerts. In fact it doesn’t live in our bedroom but I do see real value in it. Don’t get me wrong, I do look at the overnight trend lines. CGM is brilliant for managing overnight trend lines. I made a few minor tweaks to her night time basal. Little adjustments that would not have been possible with finger-sticks unless I got up every 20 minutes or so. This is great but not the surprise that makes me see value in the remote CGM screen with a teen. The value is mySentry helped me not nag my kid about diabetes. No small feat. There are time all d-parents worry about their kid’s diabetes. Most of these times our kids are not actively worrying about there diabetes. They are going about their lives as if they have actual lives. Smart. 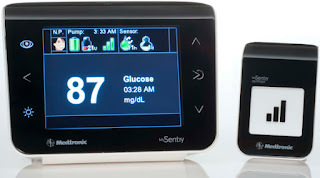 A quick glance at mySentry could show me that everything was okay and not go nagging her about her blood sugar. Not bugging the kids based on my fears is a good thing. Now that didn’t mean I didn’t talk to my kid. It meant that I knew to shut the heck up about diabetes or If I did say something to positively reenforce good behaviors. So we would talk about her latest sewing or other creative adventure and I could say nothing about diabetes or I could say “Max” says you are doing a great. “Max” is the Delaney gave the CGM’s. 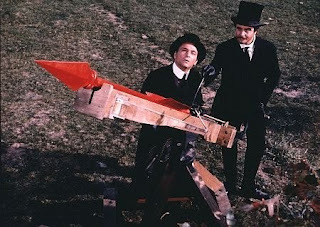 Loosely after Perter Falk’s character in the Great Race. The guy Jack Lemmon’s Professor Fate would tell, “Push the button Max.” Classic film. Go rent it now... No wait... buy it, its a keeper. Max also is a great way to see how fast insulin from a bolus takes to start being effective and how long it lasts. I found out that her bolus doesn’t really kick in for 45 minutes to an hour. Then it seems to trend down for about three hours. Good to know. I do most of the dinner cooking and so I know when dinner will hit the table. I can give her a pre-bolus heads up sooner than I was to better match dinner. I also a clearer idea of the time there is IOB. This is good information that your typical teen could care less about but dad can adjust in the pump settings. Not nagging you teens is good. Giving teens positive feed back is good too. So are better pre-bolusing and IOB understanding. Anyway if Max tells Bat Signal something is amiss then Commissioner Gordon gives me the opportunity to intervene before it becomes a real big issue. The key here is not to be seen as an idiot. Not easy for a parent of a teen. 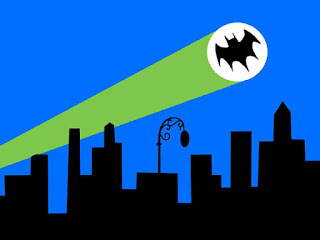 That is not to go running over and say “Max lit up the Bat Signal and Commissioner Gordon sent me over on an emergancy call.” First that sound ridiculous. Second the key with teens is to build a relationship of trust and they aren’t gonna trust Max if he is a stool pigeon. So when it is clear she missed a bolus, I can stop by her room and chat about about her latest sewing or other creative adventure and as I am leaving casually mention checking and correcting. The message here being the stuff she is interested in is more important than diabetes and oh yeah don’t forget the diabetes. Still, she is not a huge fan of Max. It is another thing to wear and carry (I didn’t ask her to try to learn to use a new pump too.) inserting a sensor is a little less than user friendly and at times so is taking it off. As a result I find I like Commissioner Gordon more than she likes Max. It is her body and her diabetes so ultimately it is her call how much she wares it. I think that is very important, maybe the most important thing for me to take away from the mySentry experiment. Using it is her choice. I initially thought I was going to try it out but ultimately decided that the pain of insertion and wear was not worth it to me for the 2-3 nights a month that I wish my CGM alarms woke me up. think the volume of thing could wake the dead. So on that score it would be interest to hear other perspectives. I also always appreciate you views on the relationships of devices so that would have been interesting. 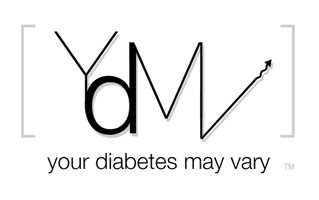 That said I think you are one the folks I know who is truly being effective with a CGM. I am not sure a remote screen would be as big an advantage to you as it would be to a parent of a CWD. I would love to hear an adult PWD's perspective to see if the though the BG on the wall like a clock would be better than slipping out the receiver and looking. My bet is, based on how I use a cell as a watch that there would be significantly less value for a single adult T1D. If Dexcom would make one... I would but it. I need something that would wake the dead, but not because I currently sleep through my alarms or anything. As for waking the dead. my friend Kerri has an iPhone trick that uses an earthquake app. As a not-single adult with T1, I think I would like an extra screen. My Dexcom receiver doesn't always receive if I leave it on the nightstand (which it must be in order to do the earthquake-iPhone thing), so I often have it in my pajama pants pocket. It may fall out from there then vibrate feebly under the covers, finally beeping and (maybe) waking me or my wife. Sounds like the Dexcom 4th gen will fix the transmission distance problems, and the 5th gen might enable extra screens. I look forward to both enhancements. Charging for CGM Download at Endo?